Both DD leg spinners Amit Mishra and Sandeep Lamichhane picked 3 wickets each. 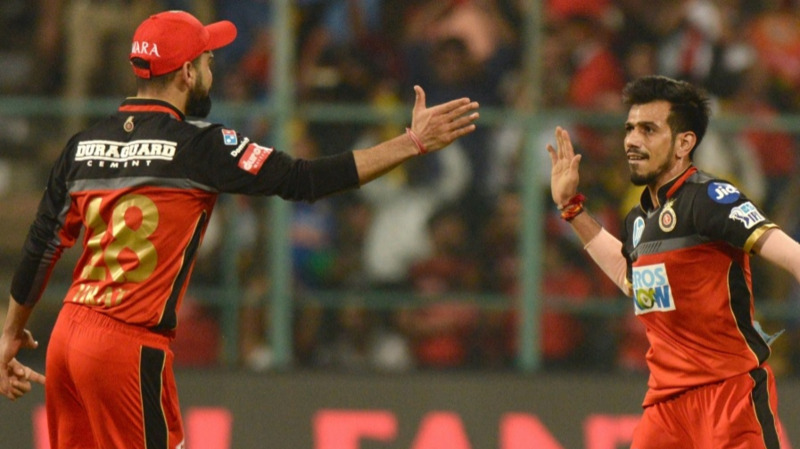 The penultimate match of the IPL 2018 league stages saw Delhi Daredevils (DD) host Mumbai Indians (MI) at the Kotla, in what was a must-win encounter for Mumbai Indians to make it into the playoffs. DD captain Shreyas Iyer won the toss and chose to bat first. DD made one change, bringing in Liam Plunkett in the team, whereas MI brought in Mustafizur Rahman for Mitchell McClenaghan. Prithvi Shaw (12) started well but was run out when Hardik Pandya broke the stumps as Shaw was strolling out of the crease. Maxwell scored 22 before Bumrah cleaned him up and Iyer had a rare failure, getting dismissed by Markande for 6. 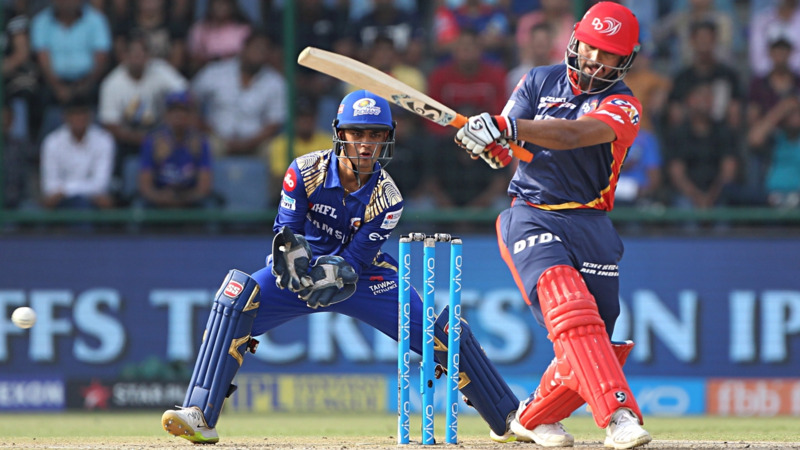 But Rishabh Pant came out and started off in his usual form scoring 64 off 44 balls with 4 fours and 4 sixes. Vijay Shankar scored 43* (3 fours and 2 sixes) and DD ended up with 174/4 in 20 overs. Krunal Pandya (1/11), Jasprit Bumrah (1/29) and Mayank Markande (1/21) were the wicket-takers for MI. MI got off to a good start thanks to Evin Lewis (48 off 31; 3x4s, 4x6s) after Suryakumar got out to Lamichhane for 12 and Mishra removed Kishan for 5. Lamichhane then got Pollard and Krunal Pandya in the same over to leave MI 78/5 in 10 overs. But then, captain Rohit Sharma and Hardik Pandya performed the repair work and steadied the innings. However, DD’s bowlers proved to be too much for MI batsmen as Rohit got out to Harshal Patel for 13, Hardik got dismissed by Amit Mishra for 27 in 17 balls and MI looked in deep trouble with 53 runs needed off 31 balls with 3 wickets in hand. Delhi bowlers, especially the two leg spinners, Amit Mishra (3/19) and Sandeep Lamichhane (3/36) kept MI batting in check. 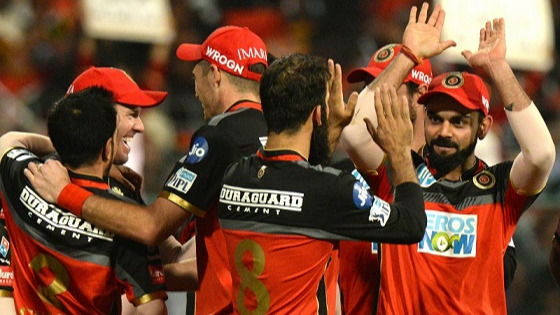 Defending champions MI got a hope of win, as Ben Cutting (37 off 20 balls; 3x6s, 2x4s) took matter in his own hands and it came down to 18 runs in last over bowled by Harshal Patel. In the end, Patel got Cutting out and wrapped the match up by dismissing Bumrah as well, giving DD the win by 11 runs. Defending champions MI were knocked out of the tournament with 12 points from 14 games.